Poor old Belgium gets a bad press when it comes to its cuisine because it sits under the shadow of France. However, my husband lived there for a few years, and he enjoyed so many delicious meals and he always tells me that he would very happily eat Belgian food every day! 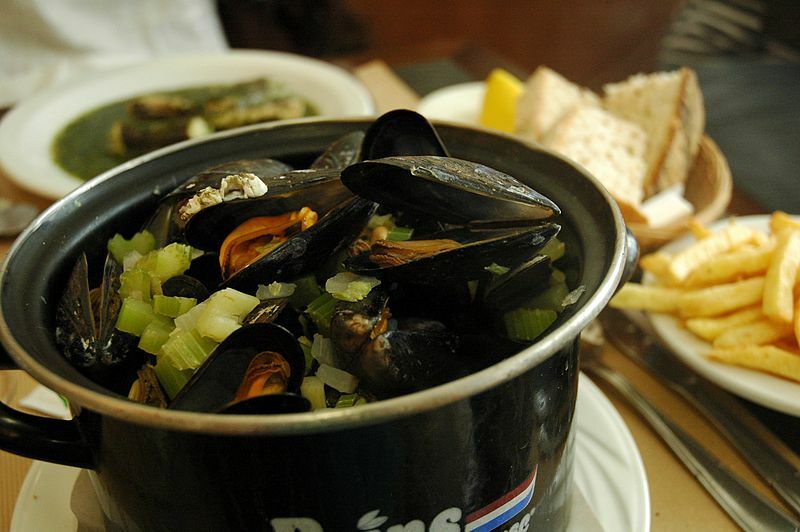 The most famous dish must be Moules Marinière served with fries, mayonnaise, and a tankard of wonderful Belgian beer. Belgium is a small country, but it boasts about 180 breweries, and makes some of the most delicious beers you’ll find in Europe. So how do you prepare Moules? It’s actually a very easy thing to do but there are some things that you have to do before cooking them because otherwise there is a high risk of food poisoning! When you get them home soak them in salted water for about 15 minutes (no longer than 20) and throw away the ones that float. Knock them with a spoon or tap them on the table, they should close by themselves. If not discard them. Throw away any with broken or cracked shells, or those that are heavier or lighter than the others. To clean them run them under fresh water and scrub the shells. If they have a beard tear it towards the small end of the shell and remove it. Here’s a short video that will help you to be sure. 2 kg moules (mussels) with shells on. Add the sliced onions and celery and fry gently for about 5 minutes or till the onions turn see through. Add the mules and put the lid on and shake the mules – you are aiming to mix the liquid round the mules. Keep cooking until the shells have opened – and no longer – it shouldn’t take more than a few minutes. Shake the pot periodically. Keep checking them. Once they are open, add the rest of the butter, cream and parsley and stir. Do not boil them any longer or they will turn rubbery! Serve with frites and mayonnaise and of course a nice glass of Belgian beer. 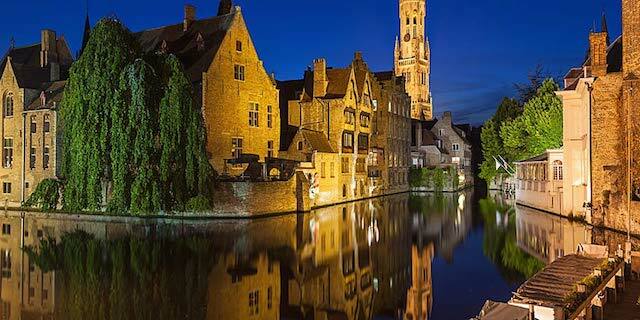 G. Adventures has a wonderful trip called Belgian Beer Tour, which sounds like a lot of fun!